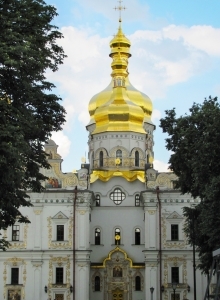 The Orthodox Church, often referred to as the Eastern Orthodox Church, traces its beginnings to the apostles of Jesus Christ. It is composed of episcopal territories largely under the jurisdiction of the five historic Patriarchates, as well as some national Churches that have been granted autonomy. The Orthodox Churches hold to a common liturgical tradition, which expresses a common faith, or theology. The word “Orthodox” instead of “Catholic” is used to distinguish these historic eastern churches who who do not recognize the universal jurisdiction of the Pope of Rome. The term “Chalcedonian” is also applied to this group of church bodies. The Standing Conference of the Canonical Orthodox Bishops in the Americas has published this definitive statement: Disability and Communion: Embracing People with Disabilities within the Church. The Orthodox Church in America has these articles in their Resource Handbook for Lay Ministries. Koinonia for Exceptional Orthodox Families: A Facebook group for Orthodox families with special needs children. Arms Open Wide (or OCDR) is a blog site by William “Ephrem” Gall, of Millersville, Pennsylvania, USA which attempts to bring together disability resources for Orthodox Christians and other interested persons. See also his Resources page for additional links. The booklet The Body of Christ: A Place of Welcome for People with Disabilities by Father John Chryssavgis is a call for Eastern Orthodox Christians to welcome parishioners of all abilities into full participation in parish life. Read an excerpt.